We all know that it is quite easy these days to get almost any information we want from the Internet. People sign up for accounts with online services all the time. They post and chat about a variety of topics, sharing sometimes very intimate details. A variety of companies, criminal organizations and government agencies routinely collect this information. Even those who think they have secured their online privacy are probably not safe. 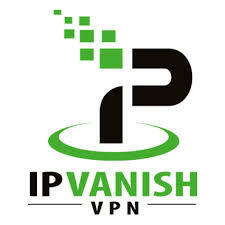 IPVanish is one of the trusted VPNs that can help people to prevent tracking and snooping. But people must still be careful about what they share online. One experiment conducted by IT expert Alistair Fairweather sheds light on the dangers of offering too much data to the Internet. Mail & Guardian Tech Officer Alistair Fairweather used simple open source intelligence, or OSINT, to quickly dig up the intimate details of 5 volunteers, strangers to him. With Google, Facebook, and other free information sources, he was able to find birthdays, map family members, get home addresses, emails, private phone numbers, and a lot more. Fairweather used only generally available sources that anyone has access to. His experiment underlines how simple it really is for anyone to find out who you are. Public records are now more readily available than ever because we have the Internet. And then there is social media, which is another great pool of private information. Fairweather’s volunteers were sure of their privacy online, but he was able to learn a lot about them starting from just their names and email addresses. Within two hours, he connected a respected lawyer to an effusive blog containing details that could destroy her professional reputation. Modern profiling techniques allowed him to easily connect the dots. Most people these days use aliases, but because their behavior, relations and manners of speech do not change, they are easy to identify. One volunteer was found to have a record of arrest for defacing public property. This was found by first locating her marriage certificate, parents’ phone number, then her former home address. And this was all through very basic searches. With a few more sophisticated tools, the digging process was much quicker. And the data was more accurate, like what models the volunteers’ phones and computers were. Hackers use this to determine what virus or malware attacks will be effective. With accurate data, social engineering scams become very easy as well. And knowing what most people use for passwords, their bank accounts are now at risk.